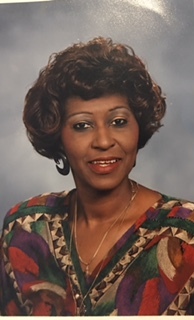 A memorial service for Mrs. Annie Hill Jones of Tampa, Florida who passed away on Saturday, March 23, 2019 will be held on Saturday, April 6th, 10:00 a.m. at Aikens Funeral Home Chapel, Rev. Michael Neely, officiating. The interment will follow. Annie was born on August 8, 1946 in Abberville, Alabama to the late Clyde Hill, Sr. and Luizia Perry. She enjoyed shelling peas, cooking, cleaning fish, maintaining her hair and nails, shopping and most of all she loved her two boys. She was preceded in death by her father, Clyde Leroy Hill and 2 brothers, Roy Lee Hill and Robert Lewis Hill. She leaves to cherish her fond and loving memories with her husband, Gerald M. Frett; children, Albert Arenas (Shirley) and Juan Martinez Arenas (Wilda); grandchildren, Monica S. Mallory Arenas, Shadez Arenas, Terrance S. Arenas, Danielle Williams, Kino Thompson, Angela Gray, Juan M. Arenas, Jr., Janiyah Arenas, Jakylah Arenas, Jay’Ceeon Arenas and Javier Arenas; 15 great grandchildren; mother, Luizia Hill; brother, Clyde Leroy Hill, Jr.; sisters, Mary Graham (Marvin), Mamie Bigham (Curtis) and Cheryl Denise Hill; god-daughter, Vicky West; nieces, Nazlee Weathersby, Devin Watters, Desiree Drim, Mileyah Weathersby and a host of other nieces; nephews, Antonio Andrews and a host of other nephews; a host of cousins; friends, Janice Albury, Hazel Fields, Caridad Arenas “Cookie”, Gussie Albury, Sadie Perry and Kim Hamilton; and a host of other relatives and friends. The family and friends are asked to meet at the chapel on Saturday for the service.